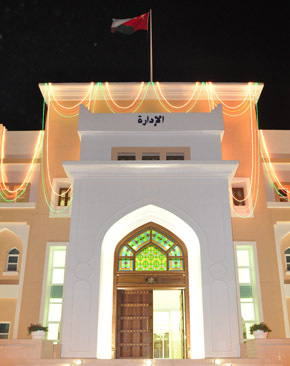 Dhofar University (DU) is a not-for-profit private institution of higher education in Salalah, Sultanate of Oman, established by Ministerial Decree No. 5/2004, issued in January 2004 (SM01). DU formally commenced its operations in September 2004 on the premises of the National College of Science and Technology, which was then officially incorporated into DU. Student enrollment has grown steadily, from 1500 students in 2004 to around 6000 students in 2016. The majority of the students are Omanis, with a small number of expatriates. DU has three colleges, namely the College of Arts and Applied Sciences (CAAS), the College of Commerce and Business Administration (CCBA) and the College of Engineering (CE). DU offers a two-year diploma, a four-year bachelor’s degree and a two-year master’s degree that follow the credit hour system and use English (except for a few programs which are taught in Arabic) as the medium of instruction. The three colleges at DU offer 60 programs through their academic departments. CAAS offers twenty-seven programs, which include: eight Diplomas, thirteen Bachelor’s and six Master’s; CCBA offers fourteen programs, which include: six Diplomas, six Bachelor’s and two Master’s. CE offers nineteen programs, which include: eight Diplomas, nine Bachelors and two Master’s. All these Diploma and Degree programs awarded by DU are duly approved by the Ministry of Higher Education (MoHE).